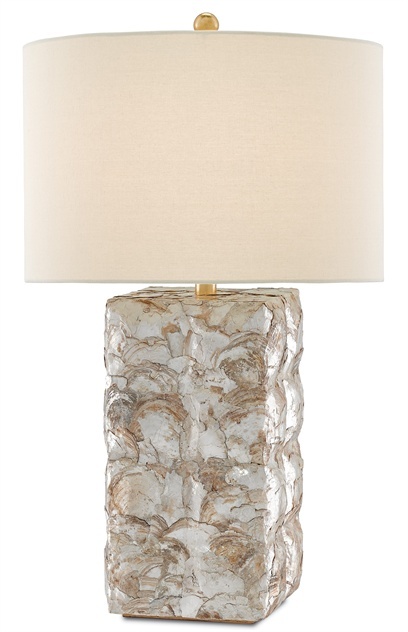 The La Peregrina Table Lamp features the Capiz Shell in its natural form, balanced by the lamp's tall, modern shape. A Light Tan Linen shade and metal accents finish this effervescent piece. Made of Natural Capiz Shell/Gold Leaf with a Light Tan Linen Shade and takes one 150 watt Edison Bulb (not included). Shade measures: 17" x 17" x 11"